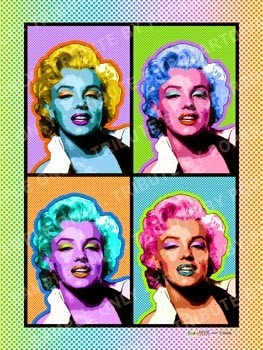 It is Marilyn Monroe's birthday today and Marilyn loved Champagne. Dom Perignon to be more specific, it was her drink of choice, so The Blonde Bombshell Martini is my rendition of a classic Champagne Cocktail - with one little tweak and a couple of Marilyn Monroe style garnishes. 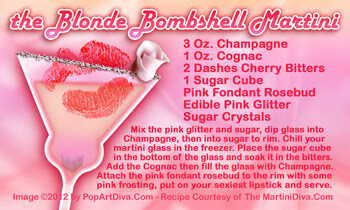 Purchase the recipe for my Blonde Bombshell Martini on a fun, mailable Postcard.